New home construction has increased as home builders have begun breaking ground on new developments. Low interest rates, affordable home prices and limited existing home inventory have increased the demand for new homes in many areas. The information in this month’s newsletter will help you if you’re in the market to buy a home. 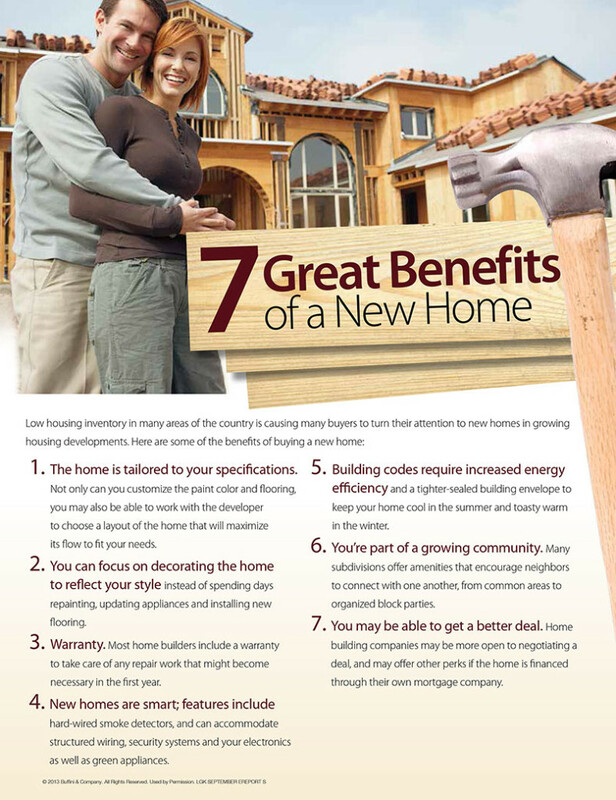 Page one includes facts and statistics about the home construction market. Page two offers relevant financing information if you’re thinking of buying a home in need of a remodel, and an overview of home renovations. While this information provides a view into the national market, our local market may look different. Please contact me to learn more about new home construction in our local area, or to learn more about the real estate market in general. Also, feel free to share this information on to family or friends who may be thinking of moving.